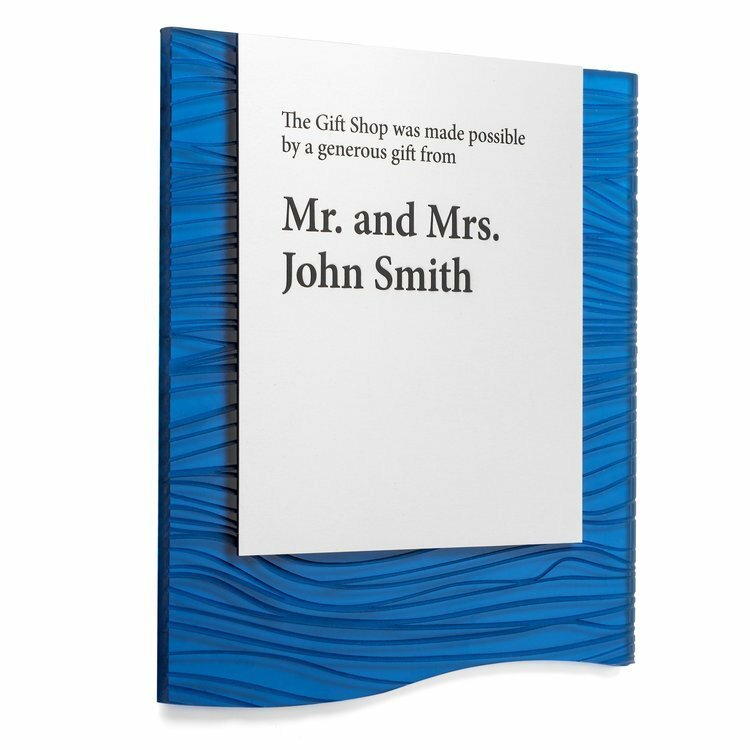 Acrylic Wall Plaques: Donor Recognition Plaque - Donor Signs, Inc. 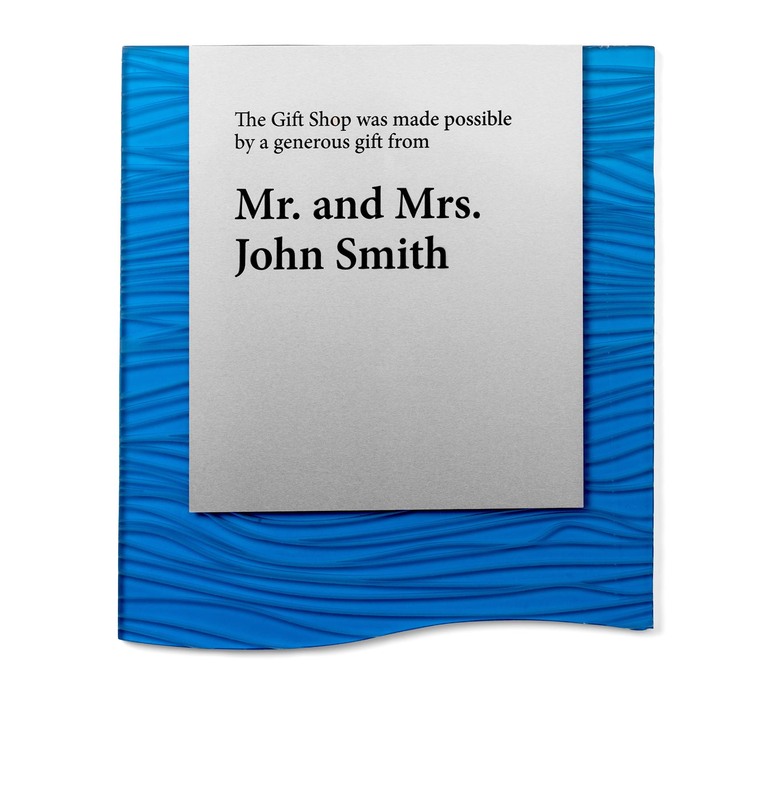 These acrylic wall plaques are designed with 1/4″ acrylic with an engraved wave pattern and impregnated blue color tint. Your custom text is UV printed (print dries in ultra violet light), giving it a more vibrant color on to 1/8″ anodized aluminum. This plaque also comes in a premium version which includes deep etched and paint filled letters in zinc metal. In either option you can choose between silver or brass tone colors. Installation for this plaque is simple; Install by peeling back the tape liner, applying several dabs of silicone to the back of the sign and using a level to make sure the plaque is aligned correctly. Full instructions, 3M tape, & silicone are provided with every plaque. This plaque brings a contemporary and casual design that can add life to any environment.